Today it seems that every nearly every industry is seeing revolutionary innovation that promises to change the way we do things. From self-driving cars to 3D printed organs, technology is redefining how we complete everyday tasks. However, waste collection is one area of society that has seen little innovation in the last few decades. The process involves a garbage truck coming to a neighborhood, usually once a week, collecting waste from each bin, and depositing the waste at a landfill. This process does not take into consideration the waste collection needs of individual, communities or neighborhoods. As a result, waste collection routes are inefficient with pick ups happening too often or too infrequently leading to garbage trucks being on the road too often. The consequence of this is more carbon emissions from fuel inefficient garbage trucks and increased congestion on public roads. The United States produces over 250 million tons of solid waste every year with that number expected to climb as the population increases. Now more than ever there is a need for a smart waste management solution. While recycling should be a part of any waste management solution, there is only so much that can be reused or recycled. Conventional garbage will always exist. 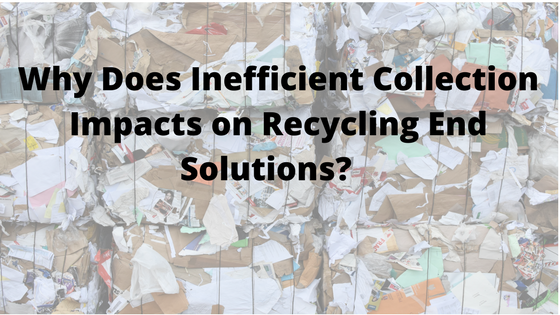 Nonetheless, Even if we generate more recycling solutions, increase education and enforce separation at source, we will still be needing to collect recyclables in an efficient and cost effective way. GreenQ’s solution to the problem is truck based smart waste management technology focused on collecting and monitoring of data. GreenQ installs sensors on garbage trucks which allows the user to monitor residential waste collection and gives them data on every individual waste bin, when it was last collected, and how full it was at the time of collection. Those responsible for waste collection now have all of this data at the tip of their fingers and can even see it overlayed on a city map in real time. With this kind of data and GreenQ’s recommendation for optimization, new, more efficient trash pickup routes can be developed that will decrease the amount of overflowing bins, reduce the number of half empty bins being picked up, and lower costs and emissions by keeping garbage trucks off the road. So the next time you throw your waste to the recycling bin, ask your self if the collection is efficient enough.